A lively and revealing biography of Andy Griffith and Don Knotts, celebrating the powerful real-life friendship behind one of America's most iconic television programs. Andy Griffith and Don Knotts met on Broadway in the 1950s. When Andy went to Hollywood to film a TV pilot about a small-town sheriff, Don called to ask if the sheriff could use a deputy. The comedic synergy between Sheriff Andy Taylor and Deputy Barney Fife ignited The Andy Griffith Show, elevating a folksy sitcom into a timeless study of human friendship, as potent off the screen as on. Andy and Don -- fellow Southerners born into poverty and raised among scofflaws, bullies, and drunks -- captured the hearts of Americans across the country as they rocked lazily on the front porch, meditating about the simple pleasure of a bottle of pop. But behind this sleepy, small-town charm, de Vise's exclusive reporting reveals explosions of violent temper, bouts of crippling neurosis, and all-too-human struggles with the temptations of fame. Andy and Don chronicles unspoken rivalries, passionate affairs, unrequited loves, and friendships lost and regained. Although Andy and Don ended their Mayberry partnership in 1965, they remained best friends for the next half-century, with Andy visiting Don at his death bed. 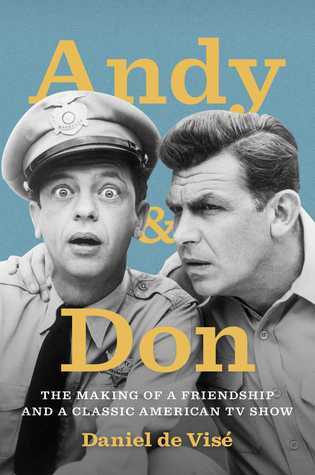 Written by Don Knotts's brother-in-law and featuring extensive unpublished interviews with those closest to both men, Andy and Don is the definitive literary work on the legacy of The Andy Griffith Show and a provocative and an entertaining read about two of America's most enduring stars.